Gust has shared a new video for the upcoming Atelier Shallie: Alchemists of the Dusk Sea on their Facebook page. This quick 40-second video shows one of the heroines, Shallotte Elminus, cleaning up a pile of junk. While that may seem mundane, it gives us a chance to hear her English voice acting. Gust promises more next week. You can watch the video here, and don’t forget to let us know what you think in the comments. If you’re still undecided, you can check out previous videos and screenshots. 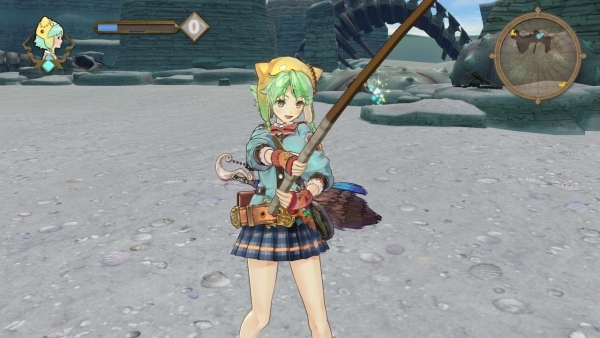 Atelier Shallie: Alchemists of the Dusk Sea will be out for the PlayStation 3 on March 10 in North America and March 13 in Europe.